DropPoi – is a newest model, created at our clients' requests to develop Flow Art movement! More and more performers spinning skilfully and using throws and balance-wheels appear every day. When we worked on this model, we wanted, first of all, to add it for a change to our production range and to share our view on the Flow Art development. As a main idea - the poi heads have a shape of a drop twisted to a spiral. P.S. it's possible this model looks like the well-known pois created by an American company. We dutifully claim that they have nothing in common, we don't want to copy them or try to compete. We aren't going to compare them, our model is different. 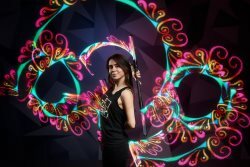 Drop Poi – it is not a Taiwan product, it is fully hand-made props which manufactured in Russia as a limited edition for local market. After some feedbacks from international guests, props available for order to everyone since April 2019. New caps, fat black cord, new amazing outer grip-case in "zip-zag" style. After a couple of months, after the delay, AeroPoi is restocked! In the absence time, we've created an absolutely new outer case looking even more sophisticated! Meet our brand new product of 2019 – LED linear fans with pixel effects Crystal Fans FX3! The fans of creative forms especially will like this model. Also, it'll be appreciated by artists searching for maximum efficiency, functionality and convenience. 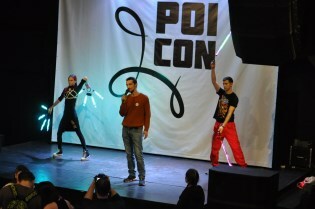 In January 2019 traditionally the first PoiCon convention came round. It's the largest in its own way event in Russia. Its program consisted of 3 days of fancy workshops, informal communication and magnificent after party! After which we've got loaded with some new ideas and desire to put them into life! Every year our team takes part in this terrific event and stands in as one of the sponsors. As props manufacturers and creators, we are very glad to see the movement is living, growing and developing. Due to the fact that PoiCon accumulates the professionals from all corners of Russia and near abroad, one can get really valuable tips and opinions which we consider during the manufacturing process. 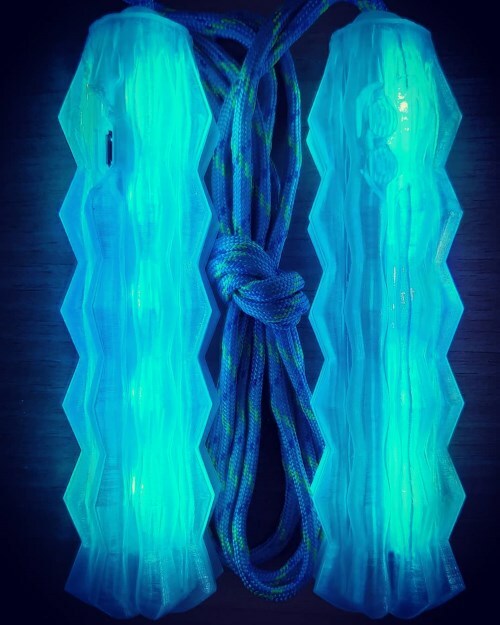 We improve the props making them even more convenient and durable for you! 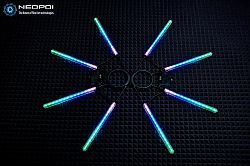 When people speak about pixel poi, they think about bright images appearing during the spinning, but when one buys pois, the details and technical characteristics are ignored. As a result, the expectations are not always true to life. Quite often you may find the following comments in discussions: "I have uploaded an image, but in real life, it looks very different", "some LEDs do not display certain colors" or "there are green stripes on light and white colors" etc. and why is this happen? Besides the number of pixels (resolution) and the image reading speed, one should pay attention to one of the main characteristics – to well-designed color correction, which is for some reason often neglected even by large and famous manufacturers. And even such a noted indicator as the number of displayed million colors or high resolution often loses its importance, if their operation is not adjusted properly. 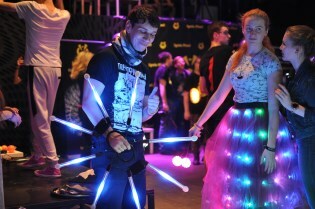 You can be sure that all props produced by NeoPoi are based on the original components and the correct color display system, and, in addition to other "smart" functions, your show programs will be always bright and spectacular! One of the brightest events of August 2018 was a visit of Tim Goddard (aka Timmehtek), a famous Australian poister. With the Lara Loe's and her friends' support, we've filmed a little video! We think we've unveiled the myth that pixel pois are spectacular but aren't comfortable for highly-skilled spinning. 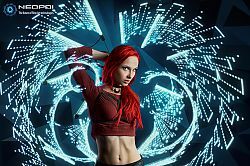 With NeoPoi 32 it's comfortable to do tricks of any complexity! Now all our pixel fans get a “Tech” prefix. What does it mean? Now both models of our 14- and 32-pixel fans have the most convenient weight for spinning. To improve your skills, we've provided you with a simple weight customization for every beam. Now you can adjust the weight and dynamics of spinning for your individual style of spinning with a maximum comfort! Hurray! One more wonderful model of pixel fans — NeoFans 14. For this model, we've developed a special body with a concave lens. However, the resolution isn't high, this lens provides fans looking vibrant, spectacular and beautiful, similar to more expensive NeoFans 32. A body cover of every beam creates reliable protection, while the inner steel cover provides the durability of construction. Finally, the new version of the site in English is open! During summer we will definitely add the missing information and bring you joy with our new branded products with updated demo videos in better quality! Thank for your waiting!